Revision de Claude Debussy. By Claude Debussy. By Frederic Chopin (1810-1849). 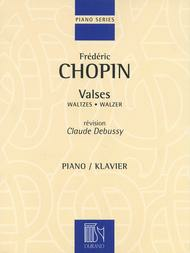 Edited by Claude Debussy. Durand/Salabert/Eschig-Instrumental Series. Waltz. Score Only. Composed 2005. Editions Durand #DF 01560900. Published by Editions Durand (HL.50564736). 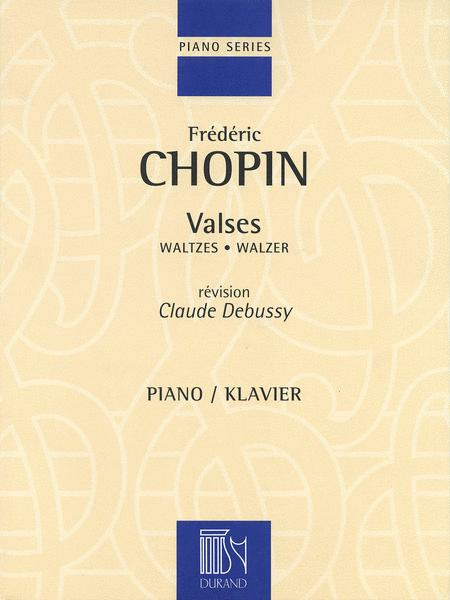 Frederic Chopin's Valses. Revision by Claude Debussy for solo Piano.